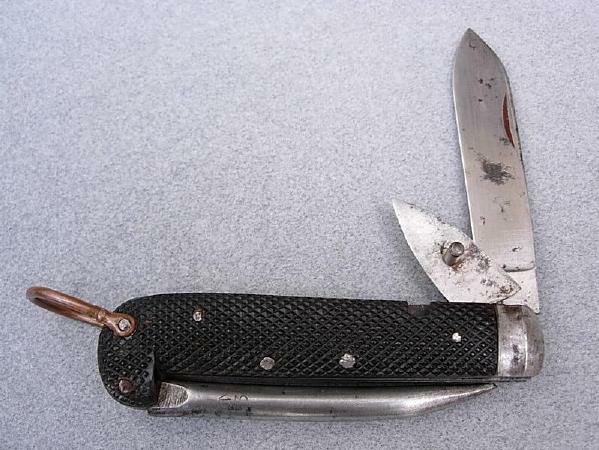 In 1913 the British Army approved a specification for "KNIFE, Clasp, with Marline Spike and Tin Opener" which was known as pattern No: 6353/1905. This pattern was made by various manufacturers. There can be no doubts that the pattern 6353/1905 knife was one of the patterns issued to members of the Australian Imperial Force during WW1. The knives issued to members of the AIF were described as "Knife, clasp, with marline spike, tin opener" (see The Recruits Companion). 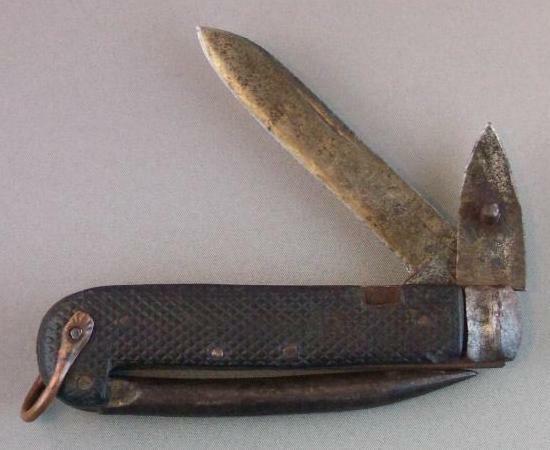 As the description is effectively the same as the specification for the British 6353/1905 knife, there can be little doubt that it was this pattern knife. So far I have been unable to locate any 6353/1905 knife with provenance that proves that it was used by members of the Australian Imperial Force. The knives featured here are displayed as examples of this pattern. This is to simply help a collector with knife identification. Given time, hopefully more information will come to light that will confirm this and identify the suppliers. Manufactured by Christopher Johnson, Sheffield, England. This knife is in a British collection. Manufactured by W & S Butcher, Sheffield, England. Manufactured by Atkinson Bros, Sheffield, England. This knife was purchased in Australia, its history is not known.